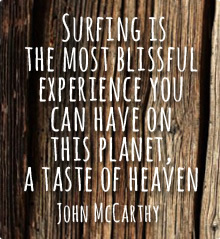 Check out what Swells Happy Surfers have to say! Thanks for giving us a day to remember out in the waves! We’ll be back this year without a doubt. Just wanted to say thanks to you, Liam and Jenny for the surfing on Saturday. After a massive breakfast including a pint of Guinness after a big night out and a 1 hours bus drive the boys were all starting to lose interest quickly. Wets suits on and all was forgotten. We all loved it. Just added to what was a fantastic weekend. Aisling & Luke, Thank you so much for making the surf element of our family reunion so much fun. The warm-ups, waves & banter on the boards was super. You’ve a brilliant set up at the beach! Everyone had an absolute ball!! Will give you a shout when the Cahill Classic returns to Cork! Thanks to all at Swell Surf for a superb day last Friday. It was a new departure for us and the latest of notice but we couldn’t have been happier. Our TY students had a fabulous time – your instructors’ demeanour and attitude were perfect, positive, easygoing, fun yet absolutely professional. The variety of activity you provided was superb, with the coasteering a surprise to us – and a huge hit. I would have no hesitation whatsoever in recommending you to anyone. Thanks again for taking the booking at short notice and finishing our TY year so spectacularly. Arranged to go Coasteering and Surfing with Swell Surf School for a hen party last weekend. We had an amazing time. The instructors were both friendly and helpful as some of our group were quite nervous at the start. Everyone in the group really enjoyed the activity. I would really recommend this surf school for a great day out. We were also teamed with a stag party for the surfing and the instructors organised some pre-surfing games for us all which we really enjoyed – we ended up spending the nightclub later on dancing away with the stag. Overall a great experience. Arranged a hen party activity at Swell Surf School. Aisling couldn’t have been more helpful in the organisation of the event and then in person she was an excellent and friendly instructor. We did the full day of activities – coasteering and surfing and everyone really enjoyed themselves. For the surfing we were paired with a stag party and the instructors organised some pre-surfing games which were great fun. We ended up meeting the stag later on that evening in the nightclub and dancing the night away. A brilliant event overall and I would highly recommend! Our Transition years had an absolutely fantastic surfing experience at Inch. Most of the students had never tried surfing before and a few had never been in the Irish sea. But, after the lesson and as a testament to the professionalism and encouragement shown by the instructors, every single one of the students will go surfing again. I would highly recommend surfing as an activity for both primary and second level students both mentally and physically as it a great confidence builder and develops both balance and endurance. We will definitely be back! Had an amazing evening with the first Coasteering outing of the year. The lads are super enthusiastic and helpful. Also felt incredibly safe with them despite jumping off huge rocks into freezing water! Can’t recommend this enough. Thanks so much to Jack ,Our instructor at Swell Surf school today . He was so calm and relaxed and great with both adults and kids. We booked a family surf lesson and we had a ball. Highly recommend it and Inch beach is just amazing . Weather happened to be fab and water was warm !! All in all a fantastic day out and we’ll be back for sure to rent boards and suits to practice all the tips & tricks jack showed us today .